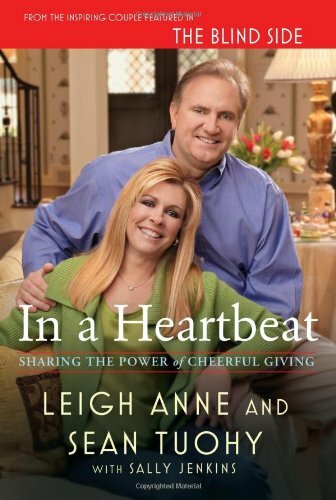 As I mentioned in my last adoption training post, I recently watched the movie The Blind Side, which inspired me to read Michael Oher's book, I Beat the Odds, and the Tuohy's book, In a Heartbeat. Although these books are similar in many ways, they are aimed at very different audiences. Oher is writing primarily for young people, especially those in rough situations who hope to rise above their circumstances. 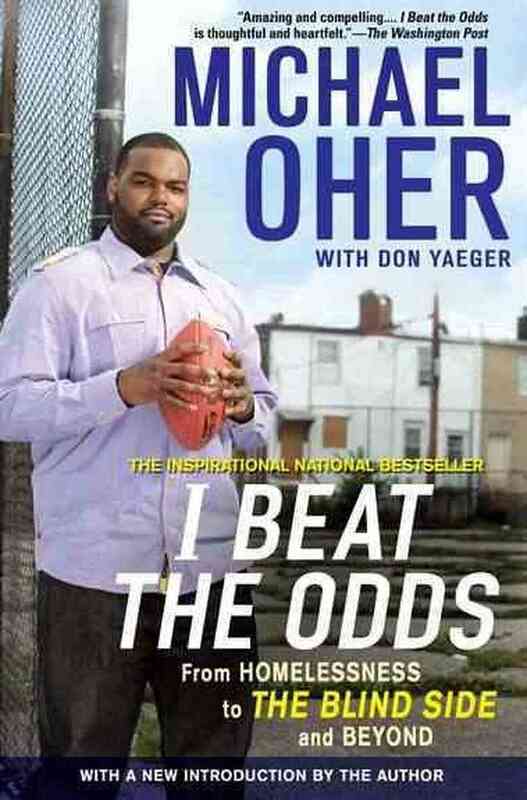 Oher does speak a bit to adults who seek to help children, but the reading level and primary content of the book are best suited for the young adult reader. He tells the story of his childhood and how his determination coupled with help from some caring adults made him the man he is today. While I did like this book, I would hesitate to recommend it to my average blog reader. But if you have a preteen/teen in your life who needs some encouragement, this would be a great book. The Tuohy's book is geared for middle to upper class adult readers. It tells their life story, both their individual childhoods and how they together raised their family. It talks primarily about their thoughts and attitudes towards giving. They emphasize cheerful, popcorn giving. Cheerful in the sense that they are happy to share, and their joy and willingness in giving is not dependent on the outcome of the gift. Popcorn giving means giving to those needs that pop up in front of you - being aware and alert for those that God places directly in your path. I liked their general philosophy and found their story interesting, but it wasn't really a page-turner for me because I had trouble relating to them. But it was fun to see that Sandra Bullock's portrayal in the Blind Side was really accurate! And there were some very cute stories about the interactions between Michael and Collins as they went off to college. I loved the Blind Side and never thought to look for the memoirs of the real life characters! I Beat the Odds sounds like a good gift for the pre-teen boy. I applaud your book reading! I have yet to see the Blind Side although it is on my list.